I have used Marcelo at St. George Web Design for more than 10 years. Marcelo has been instrumental is helping me Build a successful Allied Health Company with multiple practices across Southern Sydney. His personal service, knowledge and professionalism is why I continue to rely on Marcelo for our Internet presence. Chris Hickey. Physiotherapist. My partner asked me find a web designer in Sydney and get pricing to get a new website for our practice. We couldn't be happier with our decision. Customer Service: Marcelo helped immensely with providing a website design solution to our budget as a small business. He is very friendly, and incredibly responsive. I get replies to my emails at 11:00pm. He is always a phone call away. Deliverables: We've seen incredible results in search engine rankings in only 4 months of working with Marcelo, and he provide data to us that's helps manage our marketing strategy.We will definitely use St George Web Design for our monthly website maintenance, updates and our new website for our second business. My name is Leah Walker from Mirage Frameless Glass Sydney, I want to thank St George Web Design for their hard work.Our old website had lots of issues. Our SEO was horrible due to an outdated theme, lots of low quality links. St George Web Design used a modern theme, rebuilt our site from the ground up, gave it a modern feel and worked their magic to get our site moving up in search rankings.Reliable, trustworthy and savvy are just a few words that come to mind when I think of St George Web Design.I wouldn't hesitate recommending this company to anyone looking for a web designer in Sydney!  I found St. George Web Design online as I was searching for a local Sydney website design and Local SEO company.Marcelo helped design my website for my start up dental business in Sydney. He is very easy to communicate with and work with.Beautiful clean job and kept my site sleek and modern.I've worked with other SEO companies in the past. Never really sure what I payed for. With Marcelo, I get emails with monthly reports informing me about my website performance, and new reviews good or bad that have come in as well as what is planned for the coming months. I'm now going to have Marcelo rebuild my 2nd website for my other business.Keep up the good job! It's rare to find a web designer in Sydney that don't force their ideas on you and actually listen.I have never, ever had a better experience with developing a website than with Marcelo at ST George Web Design.Marcelo was always thoughtful in his email responses and open to different ways of accomplishing the goals set for by me and my business partner. He is more than just a web designer he also a Local SEO expert. He's professional and has helped me as a small business owner be number 1# in Google. If you need a local marketing company in Sydney this is the one to call. I own a remedial massage business in Cronulla and have been working closely with Marcelo from St George web design for the past 3 years. After searching for the right company to build my web site I finally found St George web design.Marcelo has fantastic knowledge and his ability to communicate easily is very important to me. If your looking for someone to take on your web design and rank you number 1 on google Marcelo is your guy.Thanks for all your hard work and patience with me. Since starting my business , I have utilized many Web design and SEO Companies. I asked Marcelo from St George Web Design to look after our website, and this is the first time I felt that I made the right decision.I was referred to St George Web Design by a friend who used them to help grow their business. Marcelo was the right person I was looking for, very professional, and knows exactly what he is doing, he was always there when we needed him, replying to our emails quickly and professionally.We had a big problem with google ranking due to some fetal errors and in just few months, we noticed the difference, brand new website , all errors sorted out, and we started to rank better.St George Web Design know exactly what they are doing and get down to business quickly.For those starting a new business website design in Sydney or updating their current website I strongly recommend contacting St George Web Design right away. Marcelo , the web designer and SEO expert is wonderful, super responsive, and works hard. The quote wasn't bad despite the complexity of my website project.If you need a Sydney web design company you can rely on St George Web Design. I met Marcelo through a friend who used his SEO and web design services and was very happy with the results.I presented Marcelo with a very hard web design project and an even harder deadline for my Sydney-based builder company.I love my new website. Marcelo was completely focused on meeting my needs instead of pushing something on me. He didn't try to sell me more than I needed, and trained me to maintain the site according to my wishes. Marcelo listened to my all my ideas, needs and suggestions and worked around them to create a business website that has a high end business look and it's totally functional. St. George Web Design is the bomb! I contacted several web design companies in Sydney for a quote on our Local SEO and a complete redesign of our business website.Not only was this web design company the first to respond, but they gave me the best quote out of anyone. Turn around time was quick, Marcelo's communication was excellent, and quality was outstanding. I highly recommend this Sydney web design company for all and any of your web design needs. I am very happy with the new redesigned and restructured website they built for my development and construction company.We just launched it a few days ago, but we already feel the difference and our customers love it!I will defiantly recommend Marcelo to all my colleagues and friends! and will use St. George Web Design for my future projects. ST George Web Design designed our website and I could not be happier. Marcelo was very professional and incredibly talented.Marcelo was very specific as well as very open to our ideas. He created a website according to our taste. Marcelo and St.George Web Design has earned our trust. We even decided to go with a monthly Local SEO maintenance plan with him because I know he will look out for us going forward. I cannot say enough great things about working with Marcelo at St.George Web Design. He was professional, organized and went over what was needed to create the website.